15 Lee TJ, Rees CJ, Blanks RG et al. Colonoscopic factors associated with adenoma detection in a national colorectal cancer screening program. Endoscopy 2014; [Epub ahead of print] DOI: 10.1055/s-0033-1358831. 19 Plumb AA, Halligan S, Nickerson C et al. 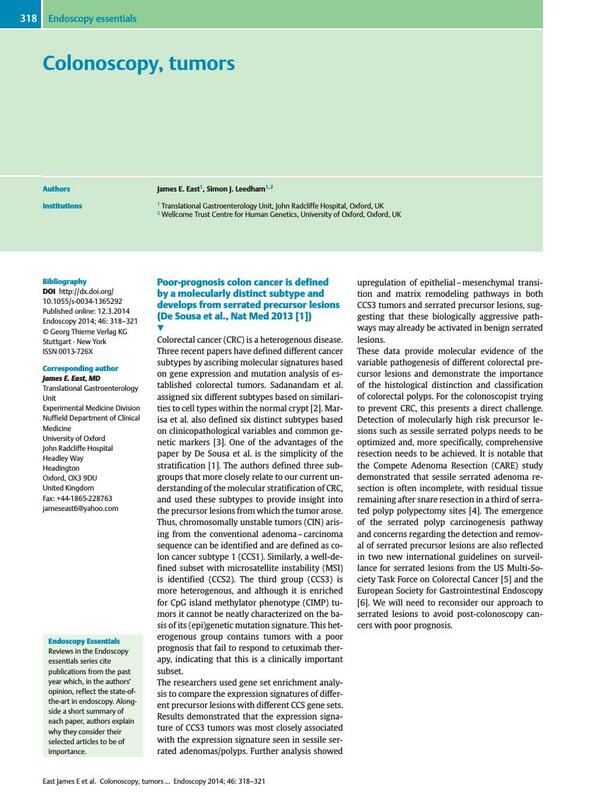 Use of CT colonography in the English Bowel Cancer Screening Programme. Gut 2013; [Epub ahead of print] DOI: 10.1136/gutjnl-2013–304697.